To see the possibilities inherent in long range first person view (FPV) drone flight, look no further than contributor beeb FPV. 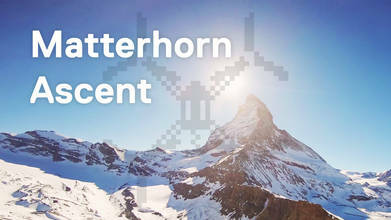 He mounted a GoPro Hero 7 camera to a racing quadcopter and conquered the Matterhorn mountain in the Swiss Alps. In four minutes, he was able to reach the famously symmetrical peak, which stands almost 4.5k meters (about 14.7k ft.) above sea level. That left enough battery power to safely return the drone (and the footage), in the process capturing a view which has drawn hundreds of mountain climbers to their deaths. The mountain was first successfully scaled in 1865 (when four members of the climbing party were killed on the descent) and its north face was first scaled in 1931.